Who ever said that glitter on the cover of contemporary picture books is all bad? 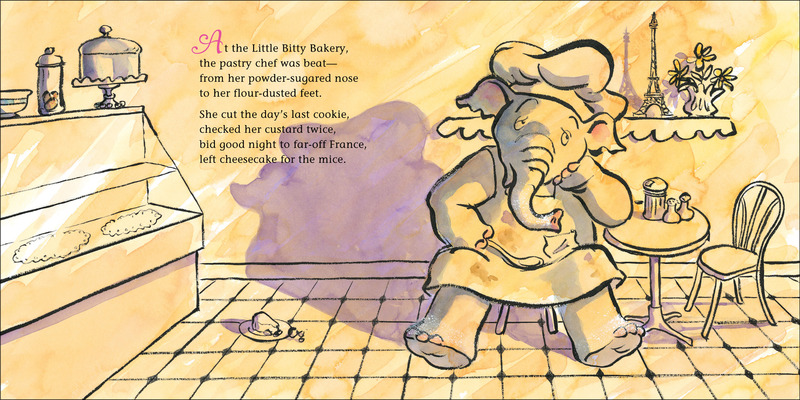 If it’s glittererized French pastries from Caldecott Honor artist Betsy Lewin, I’m all for it. 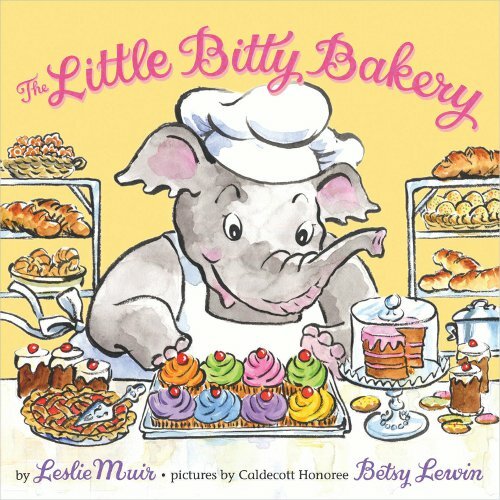 And in the case of Leslie Muir’s Little Bitty Bakery, released in August by Hyperion, it is. Both Betsy and Leslie are visiting me for breakfast this morning, and I’m hoping they brought along some of the pastries from the chef pictured above, ’cause that would mean I’d be chompin’ down on some éclairs, chocolate macaroons, and crème brûlée, seeing as how this pastry chef specializes in French delights. Mmm. 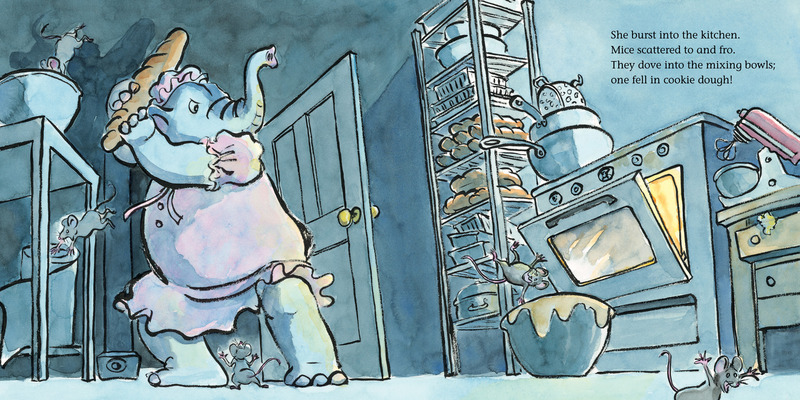 In this rhymed tale, we learn that she’s worked all day on her birthday, not even stopping to make her own birthday cake, and—leaving her rolling pins laying quiet—she climbs into bed. 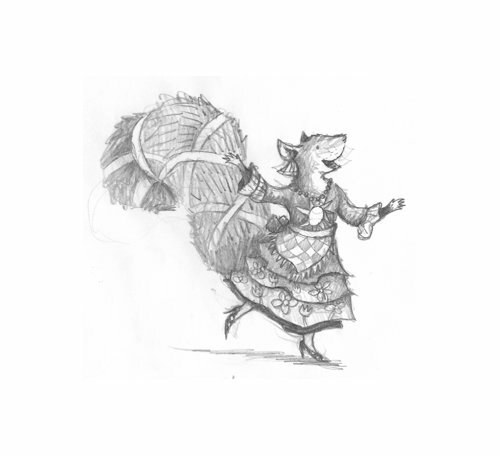 But the mice in her bakery, for whom she often leaves out cheesecake, have a most delicious surprise planned for her, so all is not lost. 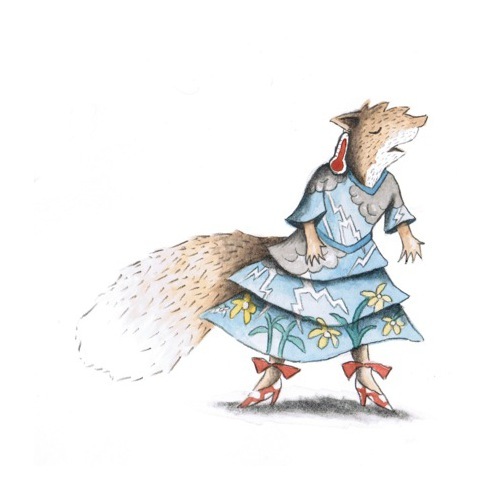 Leslie, who also happens to be an illustrator, will see the publication next Spring of her fourth picture book title. The Little Bitty Bakery is her third. Both she and Betsy are here to talk a bit more about their work, and I thank them both for visiting. 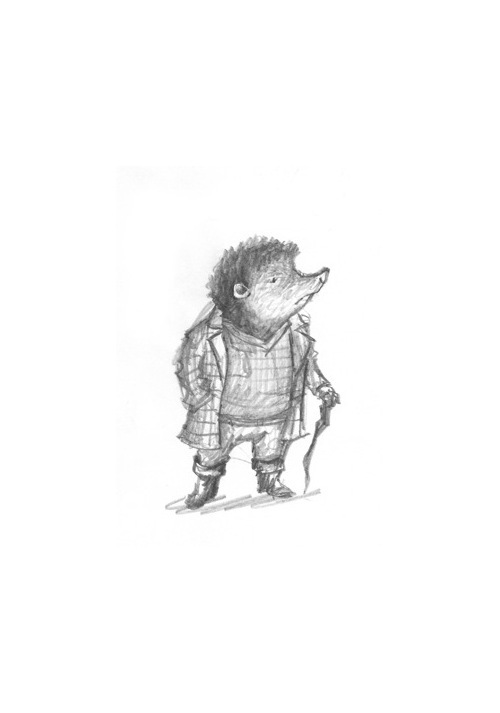 At the very close of the post is a series of sketches and art from author/illustrator Julian Hector, who will be illustrating Leslie’s Spring title, C.R. Mudgeon. Jules: What is your usual medium, or–-if you use a variety-–your preferred one? Betsy: A pointed sable brush and black watercolor or sumi ink are my favorite tools. The brush allows me to vary the thickness of the line and work in a spontaneous manner to keep the drawing alive and fresh. I lay watercolor washes over the black drawing. 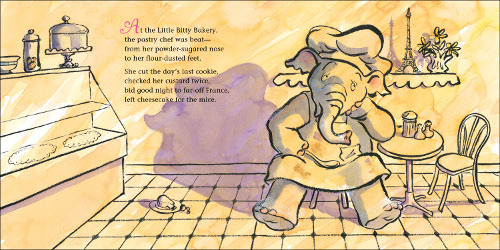 Betsy: I was writing and illustrating little poems for a children’s magazine called Humpty Dumpty. A children’s book editor saw one I did called “Cat Count” and asked if I would expand it into a 32-page book. I’ve been doing picture books ever since. 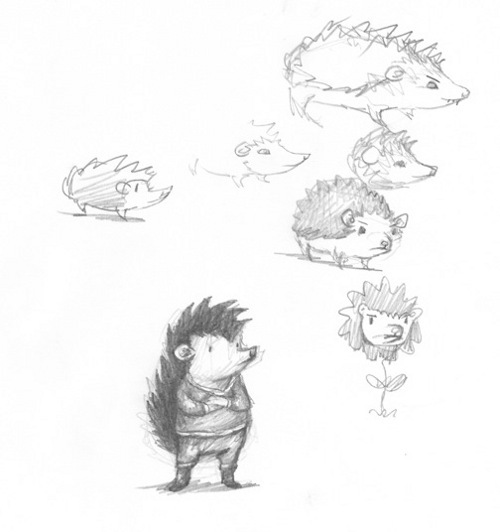 Jules: What exactly is your process when you are illustrating a book? Betsy: When I read a manuscript, whether my own or someone else’s, pictures come into my head. I usually do a lot of sketching, always bringing something to the illustrations that enhance the text, and I prefer to do a whole dummy that I’m pleased with before showing it to the editor/art director. I take deadlines seriously and am very disciplined about scheduling my time. Jules: Describe your studio or usual work space. 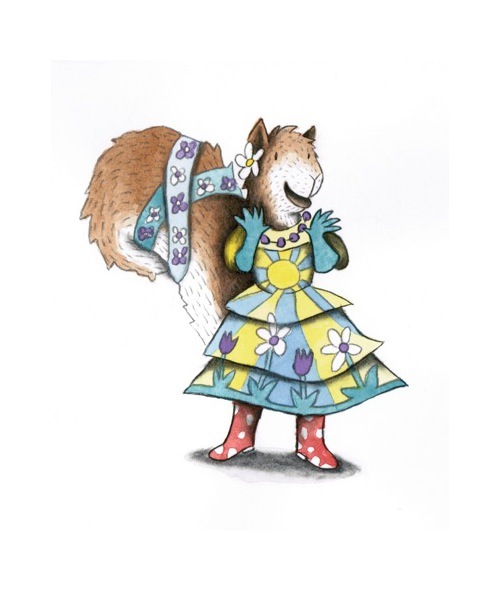 Betsy: I live in a four-story brownstone house with my husband Ted, who is also a children’s book author and illustrator, and our cat Sophie. My studio is on the 3rd floor. It’s a 9 X 12 foot space with a window that overlooks our maple tree and garden, a wall of bookshelves that house our own books and our collection of books done by other authors and illustrators, and my drawing table. I surround myself with mementos of the travels Ted and I have taken around the world and bits and pieces of other treasures. Sophie divides her time between Ted’s and my studios when we’re working. She’s a good muse. 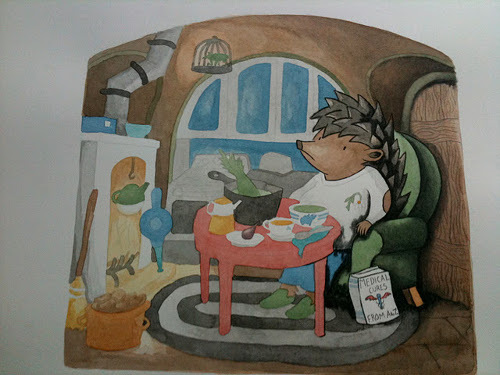 Jules: As a book lover, it interests me: What books or authors and/or illustrators influenced you as an early reader? Betsy: My favorite book as a small child was Winnie-the-Pooh, and Ernest Shepard is one of my favorite illustrators. 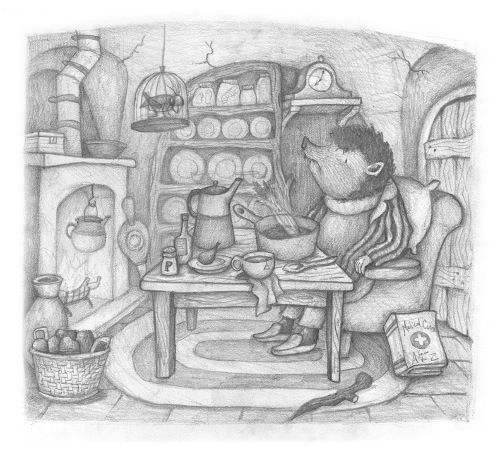 I also love the art of Quentin Blake, James Stevenson, and Garth Williams. And I’ve been influenced by A.B. Frost, James Thurber, Daumier, and Lautrec. 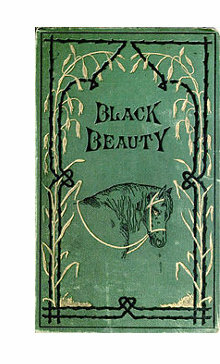 I loved reading books about animals like Black Beauty, My Friend Flicka, and the stories of Jack London, to name a few. Jules: If you could have three (living) illustrators or author/illustrators—whom you have not yet met—over for coffee or a glass of rich, red wine, whom would you choose? Betsy: The ones I named above. Jules: What is currently in rotation on your iPod or loaded in your CD player? Do you listen to music while you create books? Betsy: I love a variety of music from country to classic, but I don’t listen to music, watch TV, or do anything else when I work, except work. I can’t multi-task. 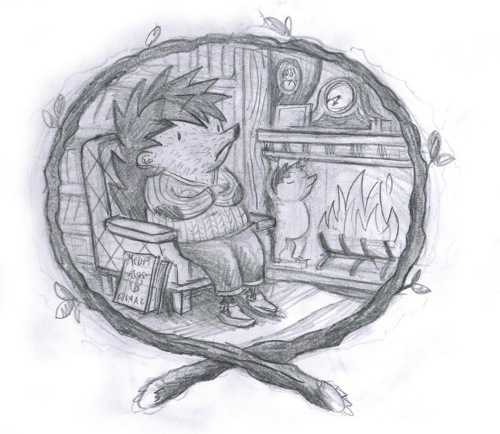 Betsy: I look in a mirror to get expressions and gestures for my characters, both human and non-human. Jules: Are there any new titles/projects you might be working on now that you can tell me about? Betsy: Ted and I are working on a collaboration, titled Adventures with Ted and Betsy, about our experiences of forty years of travel around the world. Betsy: The sky in all its moods. Betsy: Loud music, loud cell phone conversations, car sirens. Betsy: I never wanted to be anything but an artist, and that’s true today. Betsy: Too broad a field. Can’t narrow it down. Jules: This is your third children’s book, correct? 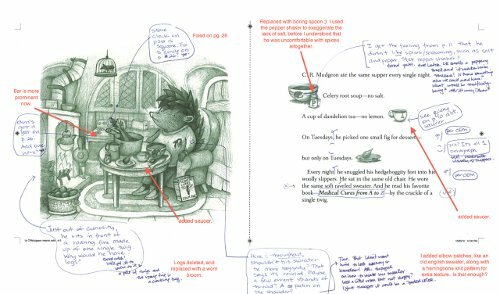 What have you learned about writing picture books by this point? 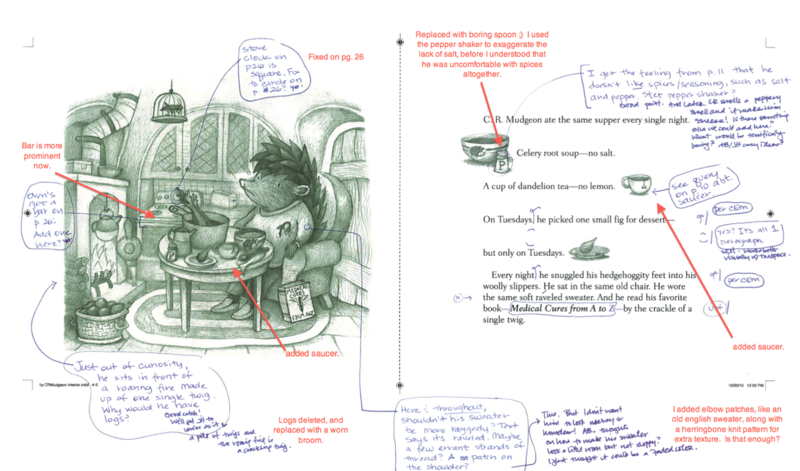 I heard author/illustrator Matt Phelan speak recently, and he said (and I paraphrase) that writing picture books is the “Mount Everest of writing,” as in the hardest kind of writing there is. Something tells me that’s true. Your thoughts? Leslie: Yes, this is my third picture book. I’ve learned that all writing is difficult, no matter the genre or form, so I can’t say that one is harder than another. 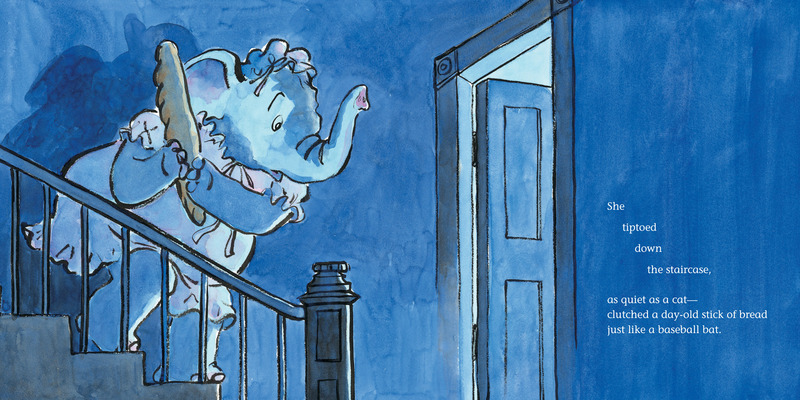 But I’ll agree with Matt and say that picture book writing can be like climbing Mt. Everest. And I’ll add that, once you’ve forged to the top, there’s no guarantee that you’ll summit again. I always find it a struggle. Usually, I end up perishing on the side of the mountain. But I always get up and start climbing again. I love it that much. 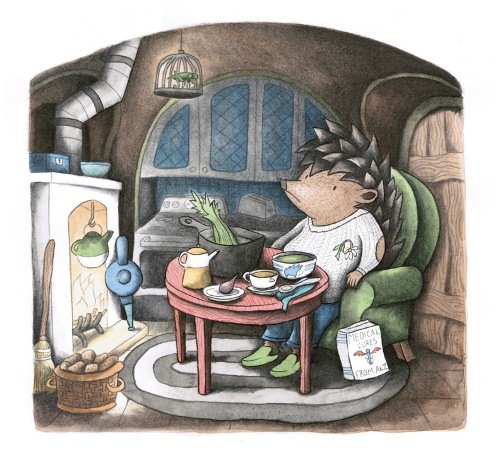 Jules: Any tips for other picture books authors who want to write in rhyme? 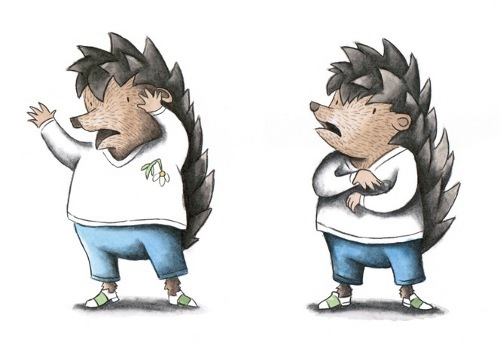 Leslie: Don’t make the mistake of simply tossing out a rhyming story without learning the form. It’s the fastest way to a quick rejection. Do your homework. And while you’re wrestling rhymes, don’t forget to tell a complete and interesting story that includes a vivid setting and relatable characters with a juicy problem to solve. It’s a touchy operation, akin to juggling knives. Jules: Do you have any plans to write anything other than a picture book? Middle-grade novel, YA, or otherwise? 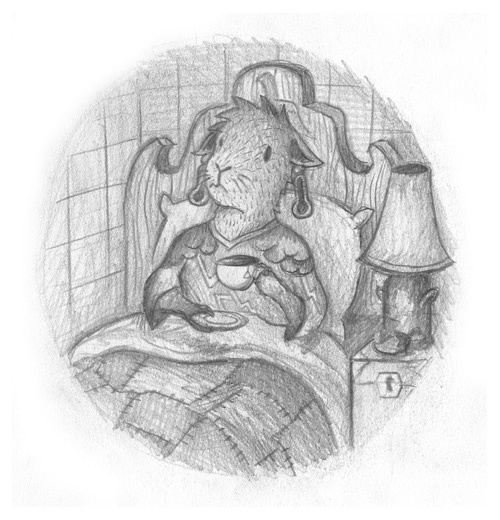 Leslie: I’m always listening to my muse, so you never know, but I feel most at home with the picture book form. I adore the interplay between text and art and find this relationship endlessly fascinating. I’m an artist, so I always make a conscious effort to imagine what an illustrator needs, or more importantly, doesn’t need from my text. I’ve had varying degrees of success with that, but it’s always my goal. 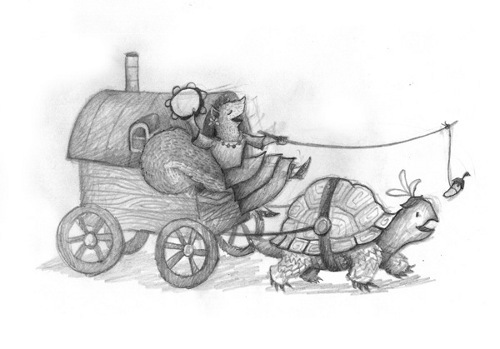 It would be a thrill to illustrate one of my own stories one day! … But I don’t say that lightly; I have a lot to learn. I do have a character named Tank, nuzzling me to get going. I’m nervously sharing an early pic of him. 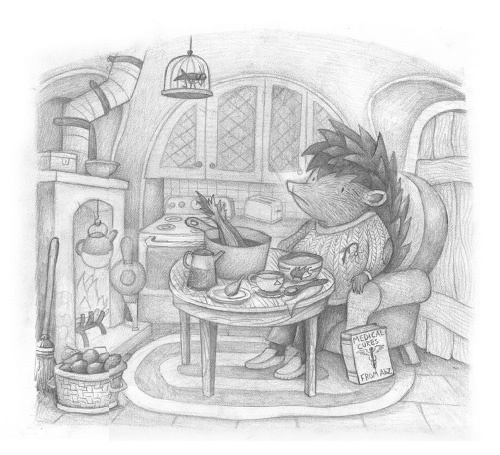 Jules: What was it like to see for the first time Betsy’s art for this book? Leslie: Mind-blowing. I was already a fan of Betsy’s, have always admired her fluid, effortless lines. 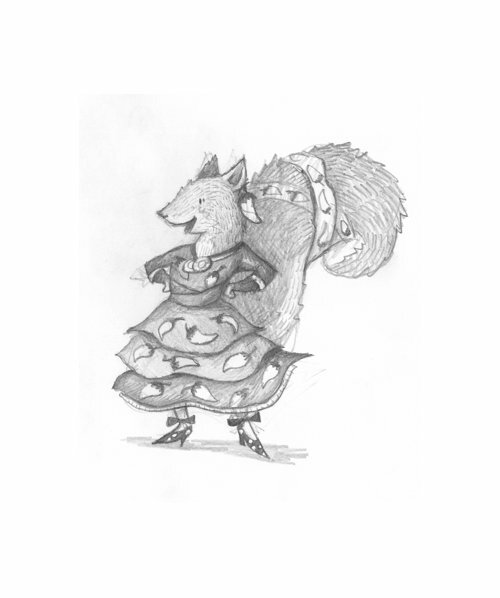 So you can imagine my joy when I found out she would be illustrating my story. 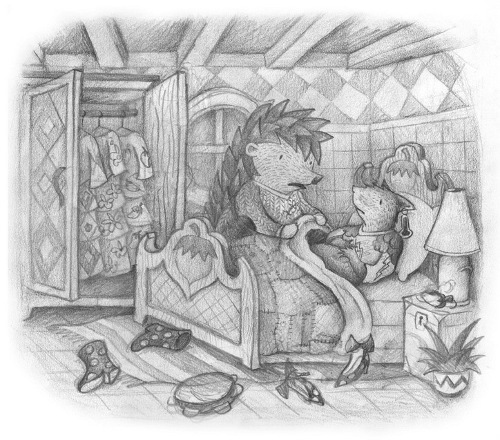 It was obvious that a lot of tender care went into the illustrations. And she created characters that are loads fun. I mean, does it get any better than a ginormous elephant in a frilly pink nightie? Betsy’s beautiful twilight and moon-drenched hues are gorgeous and lend a dreamy moodiness to the setting. She also injects some silly slapstick humor into the story. 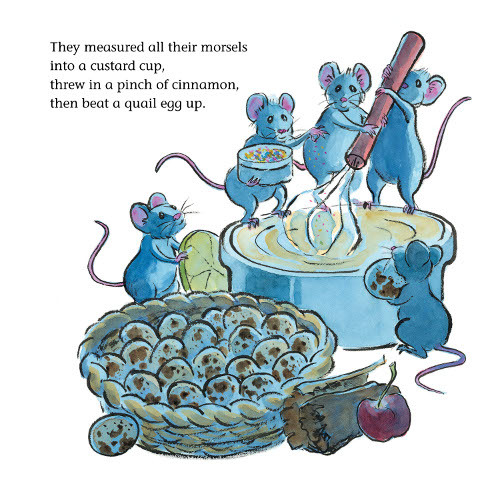 The mouse team is so adorably serious and industrious, but they’re also downright hilarious. Jules: Tell me about C.R. Mudgeon, coming out in early 2012, yes? Leslie: Yes, C.R. 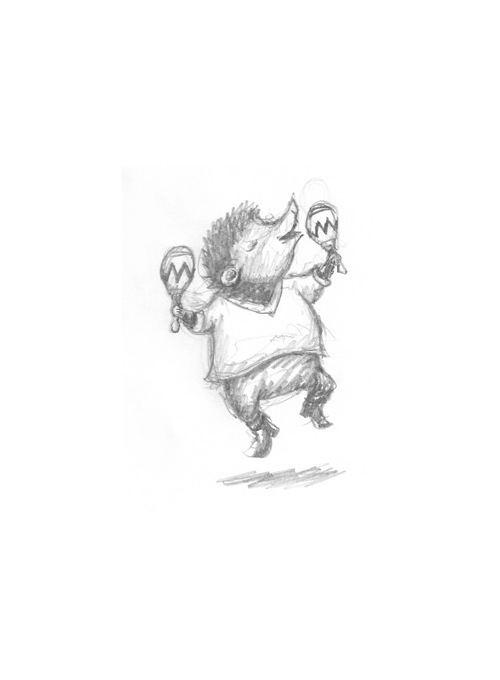 Mudgeon will be out in March of next year. 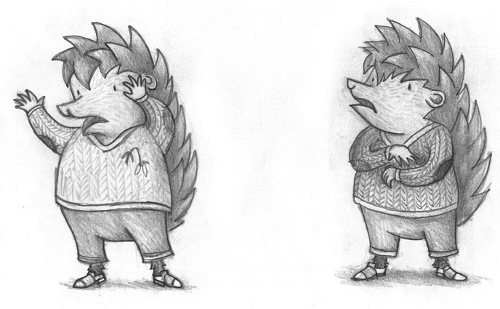 It involves a very grumpy, set-in-his-ways hedgehog and his spicy new neighbor, but I’ll say no more. I’m super excited about this one. 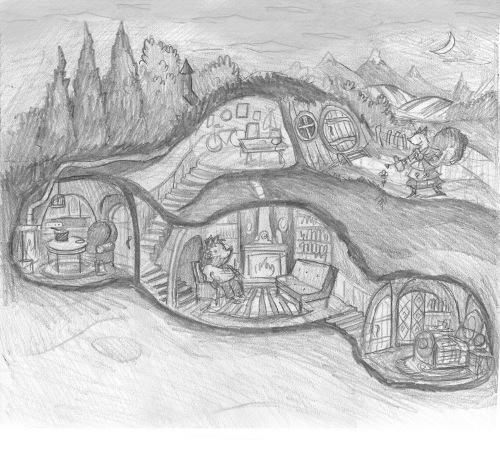 Julian Hector has done a masterful job with the illustrations; they’re just outstanding. I’m so lucky to have had the opportunity to work with such incredibly talented artists. They’ve enhanced each story in myriad ways. I feel like I’ve won back-to-back lotteries. Leslie: That’s a tough one. I can’t possibly choose a single favorite, but off the top of my head I’ll say “egg.” It’s a lovely word, small and fragile, just like the object. Leslie: Onion breath and politics. Leslie: I covet them all equally. Leslie: A driving rain or the heater blowing when I’m snug in bed. Leslie: Art director or designer. Leslie: Celebrity or Porta Potty de-slopper. Crumble Jumble Cake, Moonlight Frosting, and Jumble Crumbles. Thanks again to Betsy and Leslie for visiting. Tomorrow, they’ll be visiting Greg Pincus at GottaBook; Thursday, they’ll visit Jama Kim Rattigan at Jama’s Alphabet Soup; and Friday, they’ll stop by Elizabeth O. Dulemba’s site. 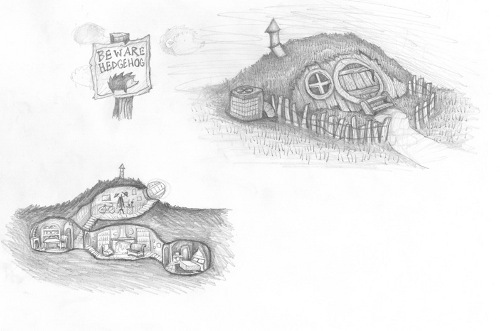 As noted above, below are some rough sketches, color studies, step-by-step images, and final spreads from Leslie’s C.R. 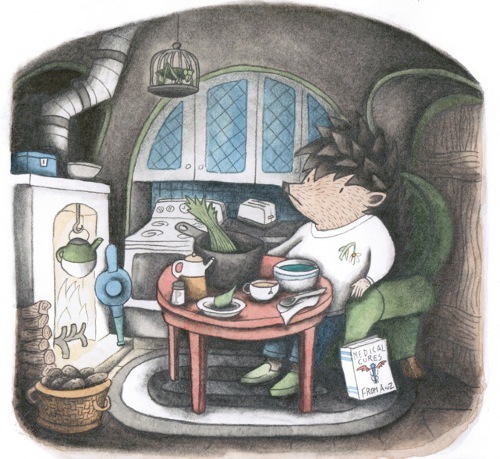 Mudgeon, as created by author/illustrator Julian Hector. THE LITTLE BITTY BAKERY. Copyright © 2011 by Leslie Muir. Illustration © 2011 by Betsy Lewin. Published by Hyperion Books, New York. Images reproduced with permission of the publisher. Photos of Betsy Lewin and her sketch are used with her permission. 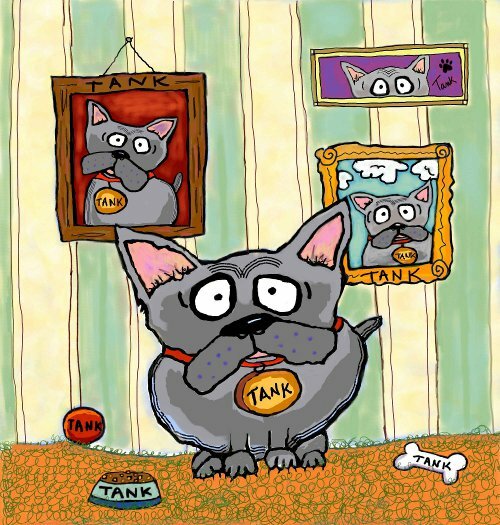 Photo of Leslie and Betsy and Leslie’s Tank illustration used with permission of Leslie Muir. 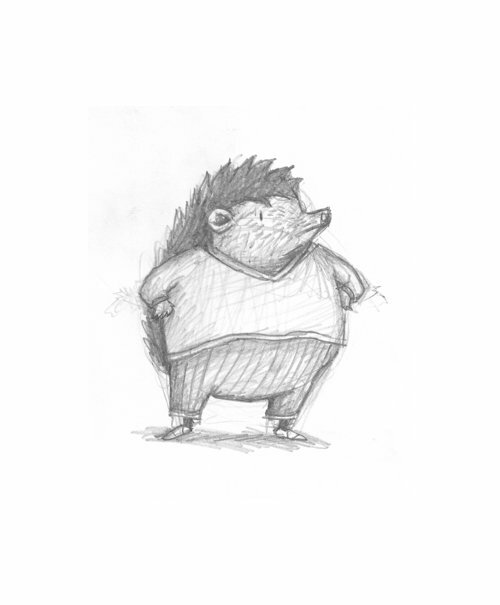 All sketches and images from Julian Hector are © 2011 and used with his permission. I loved this post…I have always admired the Lewins’ work and will definitely look forward to seeing a book about their amazing travels. I admire the comfort of your conversations and am thrilled to know so much about the wonderful people who create stories for our kids to love. Art, interviews, *and* a cake recipe. Lucky day for us. I’m looking forward to Little Bitty Bakery and C.R. Mudgeon. Positively delicious post. Love that Betsy uses a mirror to nail expressions! And Leslie’s description of Betsy’s night-time scenes is magical. Thanks too for the sample of Leslie’s art and the peek into C.R. Mudgeon, which I’m also looking forward to. The editor critiques spread is especially interesting and illuminating. This is an overwhelmingly wonderful set of interviews, Jules. I truly wish I could have all these posts in a book so I could look back at them at my leisure. I have added several of these to my personal and professional wish lists. Thank you so very much. Fantastic stuff, Jules (and Betsy, Leslie, and Julian). Like Jama, I loved that insight about using the mirror. I’m always blown away by the artists you feature (and am always flabbergasted at people who can do that AND write like Leslie can), and this was no exception. 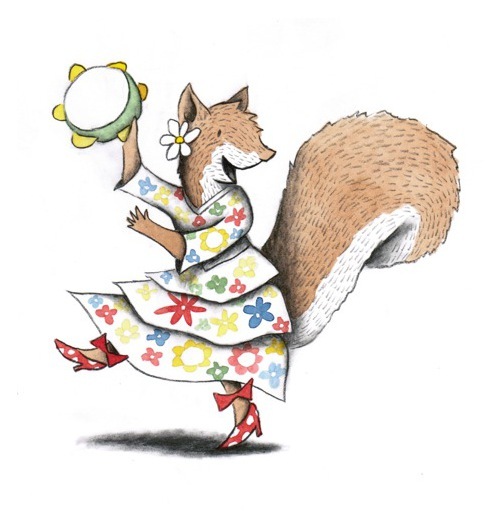 A hedgehog with castanets and a squirrel in high heels–this is so why I love children’s books. Wonderful interviews, and such a feast for the eyes! I am a longtime fan of Betsy’s buoyant brush lines, her humor, and those lighting effects that Leslie describes so eloquently here. 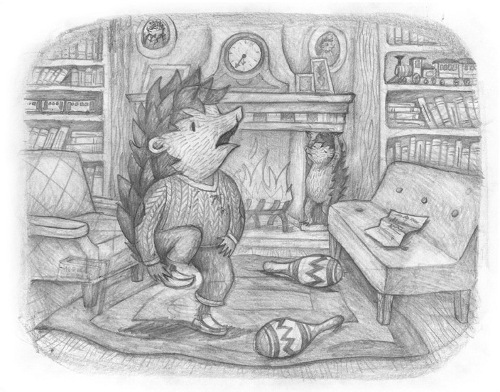 And I love the drawings by Julian Hector. Both of these books look stellar. 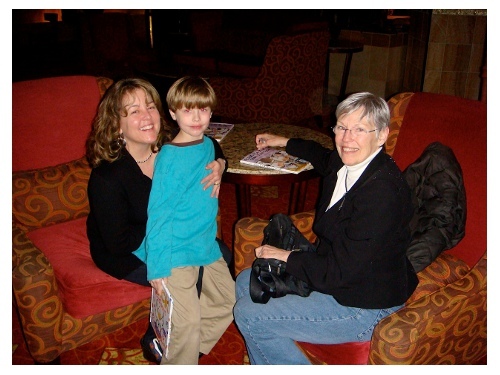 Thanks, Jules, for another fabulous post! What an outstanding interview! An absolute treat! Thanks so much for including these wonderful interviews! I am truly in awe of these creative people!! !